Hertfordshire Constabulary does not transfer title to any website content downloaded or used by User. Site content, including its selection and arrangement, is owned by Hertfordshire Constabulary and is protected by copyright and other laws. Limited permission to use website content (for the purposes stated in the preceding section) is specifically conditioned on the user's recognition, observance and retention of all copyright, trademark and other proprietary notices in Site content, and all proprietary and other intellectual property rights of Hertfordshire Constabulary in website content. The user shall not have any ownership rights in any email address, URL or other personal identifier that may be allocated to, or chosen by, him or her for the purposes of any services available through this site and the user's limited rights to use such identifier/address shall continue only for so long as the user's registration/User account remains valid for access to this site or the relevant service. Any unauthorised use or copying of website content, or use of website content which breaches these Terms (or their spirit) may violate trademark, copyright and other proprietary rights, and civil and criminal statutes. Users shall not use any website content (or any other content made available through this site) in any manner that infringes any trademark, copyright or other proprietary rights. Hertfordshire Constabulary reserves all rights with respect to such unauthorised use or breach of these Terms. 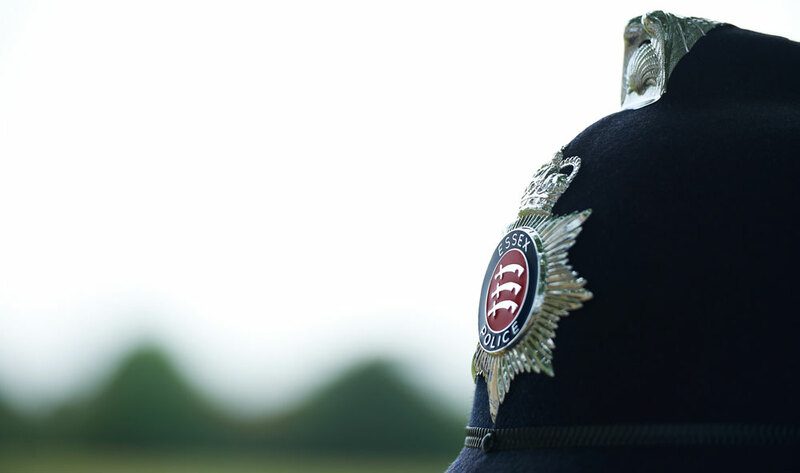 Welcome to the Online Media Centre, which is managed by the Essex Police Media Department. This password protected site will be where press releases will be published to accredited members of the media. © Copyright Essex Police. Newsroom provided by Vuelio.